One to-do that was a must-do during my inaugural trip to Nashville: the Grand Ole Opry. I’m not being hipster snarky ironic about this: for real and for true, I looked forward to it. 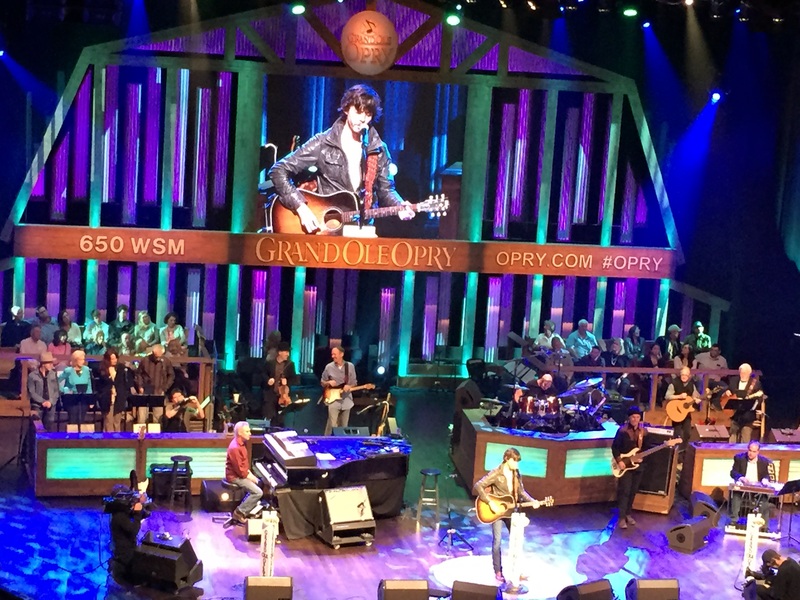 The Grand Ole Opry has broadcast a radio show on WSM 650 AM for the last 90 years. 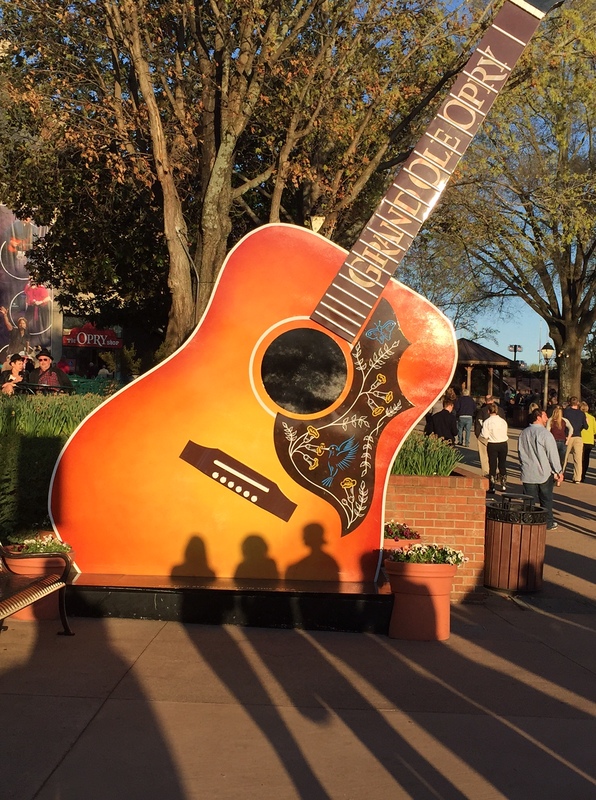 Now situated in a performance space next to a humongous shopping mall – which was fully rebuilt following the 2010 flood devastation – the Opry features country musicians of all types over four 30-minute sets. Programming is as devoted to tradition as Top 40, featuring old-guard Members as well as more recent Guest Artists doing two or three songs each, interspersed with comedians and commercial spots for Cracker Barrel. The back-up musicians are no slouches, either. As much as I genuinely love lap pedal steel guitar (and I teared up when the square dancers hit the stage), this is far from being a museum piece. It’s a continuing celebration of all that Nashville represents. Midway through the evening, she strode onto the Opry stage, tall and barefoot in a twilight blue dress. She only did two numbers – the Patsy Cline song, “She’s Got You,” and Sister Rosetta Tharpe’s gospel tune, “Up Above My Head” – but that was all it took to turn my family into fans. It was a pity she didn’t play an instrument, too; maybe next time. Take it from me: you go to the Opry, you’ll enjoy yourself, even if you’re more a fan of Johnny Cash than Johnny Paycheck … and speaking of the Man in Black, Nashville’s Johnny Cash Museum is worth a visit, even if you just want a cup of Bongo Java coffee. More on that later. P.S. Just a few days remain to sign up for the 2015 Detroit Working Writers Conference, taking place May 16 in Troy, which includes a workshop about “Finding Your Writing Niche” led by yours truly. 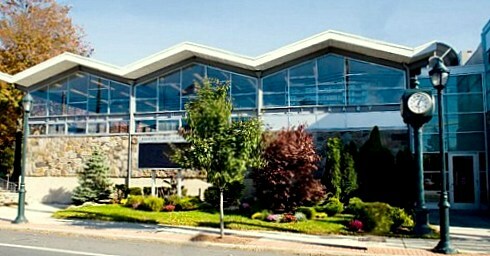 Hope to see you in a darkened conference room soon! I hit a rich vein of nuggets tonight. I found both Breaking Dawn soundtracks, to my great delight. Trust me, I’m no Twihard – I’ve never seen so much as a screenshot from any of those movies. That said, all four Twilight soundtracks serve up an amazing range of pop and alt-rock that often is exclusive to the films; the Breaking Dawn discs feature everyone from Bruno Mars to the Noisettes. I also picked up the fourth collection from the HBO series True Blood. Unlike their Northwestern bloodsucking brethren, the musical tastes of these bayou-based immortals skew toward swampy blues and ominous reinterpretations of familiar material. Another intriguing find is Soundtrack for a Revolution from the PBS documentary about the music of the civil rights movement, interpreted for the film by artists like The Roots, John Legend and The Blind Boys of Alabama. Then I hit the mother lode: the soundtrack to A Place at the Table, a documentary about hunger in America featuring original music by T Bone Burnett and The Civil Wars. 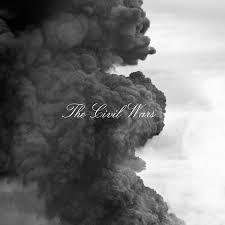 I didn’t think there were more than a couple of albums by The Civil Wars, including the one debuting this week. Given their acrimonious and very public rift, there may not be any others. The Civil Wars is John Paul White and Joy Williams, each of whom had been trying to make a go of solo music careers for several years before they first met in Nashville. Their voices are a perfect match, twining around each other like silk ribbons on the hilt of a Confederate sword. Their first album, Barton Hollow, is spare and passionate, the aching romance of the music prompting most of the reviews to point out that White and Williams are happily married … to other people. Given that they canceled last year’s tour while it was in progress, citing “internal discord and irreconcilable differences of ambition,” I’m not sure when they recorded A Place at the Table. I am simply grateful that they did. They blend well with Burnett’s acoustic guitar and his simple, direct style as a producer. 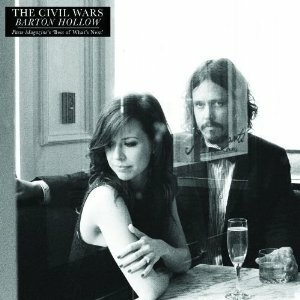 As The Civil Wars’ battles continue, this is a chance to savor a little more of their music. The saga of the band could be a movie itself one day. One wonders who would be featured on the soundtrack.